When astronomers and engineers design a new scientific instrument, there is a very special moment. It happens the first time the instrument is set on the telescope, looking at the sky. When light coming from the universe trickles down the system and ultimately falls on the detector. From this moment on, observations can begin, theories can be tested, science can be made. We call this moment the First Light. First Light Imaging cameras are optimized for astronomy and low light applications. Our cameras are the fastest photon counting cameras available on the market. First Light Imaging works with the most advanced research centers and astronomical observatories in the world. Example of astronomy applications : Adaptive Optics, Exoplanets research, Laser communications, Astronomical observations, ground to ground transmissions, interferometry, Fringe tracking. Going beyond the visible wavelength is priceless for researchers in medical and biology and SWIR imaging allows deeper, non-invasive, high-resolution imaging, of in vivo or ex vivo tissues, thanks to the very low reflectivity of skin in the SWIR. Example of life sciences applications: Fluorescence microscopy, diagnosis, tissues analysis, OCT imaging, spectroscopy, cellular imaging, biological sampling. Whether for semiconductor inspection, food inspection or quality control, laser beam alignment or environmental monitoring, our cameras can be used in countless industrial fields. Our SWIR cameras are able to image high contrast images through haze, mist, rain, fog and challenging atmospheric conditions. Example of safety and surveillance applications: SWIR imaging for night vision, background contrast, cloud or smoke penetration, identification of objects. Surface pigments are typically transparent at wavelengths longer than 1100 nm, and our SWIR cameras can be used as non-invasive detection instrument for painting inspection, such as identification of alterations, counterfeiting, copying, overpainting, or erased marking, providing information on hidden structures which are invisible to human eye. 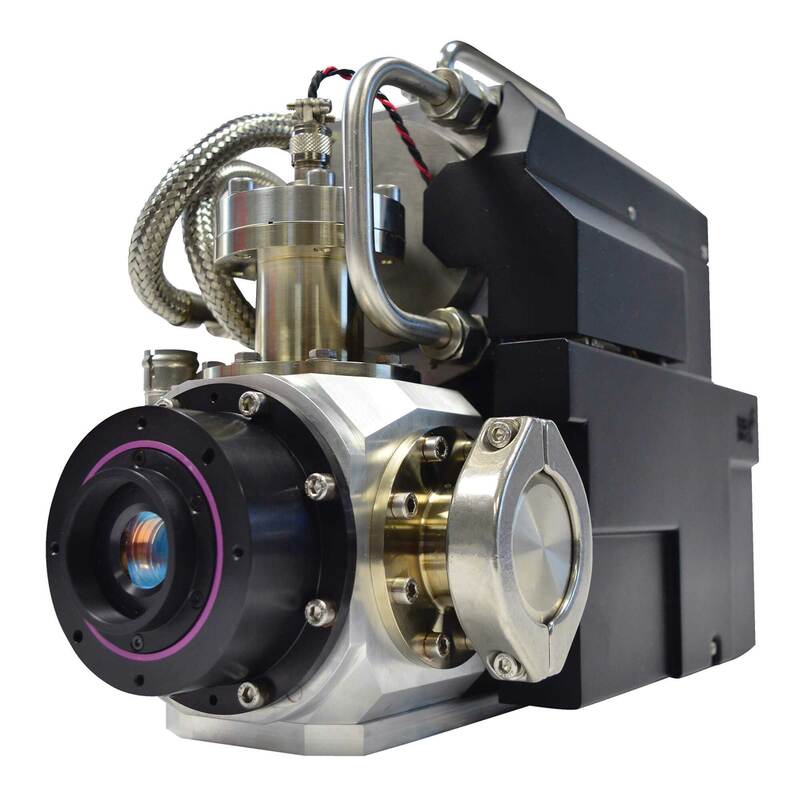 Developed by astronomers for astronomers for Visible imaging, with up to 95% quantum efficiency over a wide spectrum (from 400 to 900 nm), our Electron Multiplier Charge Coupled Device cameras are the fastest visible cameras with subelectron read out noise. Resulting from a three-years R&D program supported by the European Commission, ambitious and innovative, C-RED One is a revolutionary infrared camera base on a revolutionary 320×256 pixels MCT e-APD (Avalanche Photodiodes) sensor with noise-free signal multiplication, offering unprecedented performances in SWIR imaging (from 0.8 to 2.5 µm with 70% quantum efficiency). 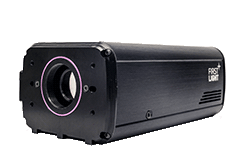 C-RED One is also capable of multiple regions of interest (ROI) readout allowing faster image rate (10’s of KHz) while maintaining unprecedented subelectron readout noise, making the invisible visible. The camera has been rewarded by a Prism Award for Photonics Innovation in 2016 and still owns the world record in speed and sensitivity for a e-APD camera. Automatically aircooled or liquid cooled, C-RED 2 can operate in any environment or complex situations, easy as plug and play. The camera also offers windowing possibilities which allow to go even faster up to 21478 images per second. C-RED 2 is supported by the “Investments for the future” program and the Provence Alpes Côte d’Azur Region in France, in the frame of the CPER. All our cameras are provided with our own Graphical User Interface (GUI) and our softwares allowing real time applications. They can be updated remotely. We care about our products, so we carefully pack our cameras in strong Pelicases®. Our packages are marked with shockwatch indicators, and we ship them all around the world with reliable forwarding partners. innovative, fastest and sensitive scientific cameras, for science research. We design and manufacture ultra high-speed and sensitive scientific cameras for visible and infrared spectra. Multiple award-winning, First Light Imaging is recognized for the high performance of its products, and works with world leading institutes and manufacturers. This technical excellency is key to our goal : providing our customers with uncompromising performance and quality, with MADE IN FRANCE products. 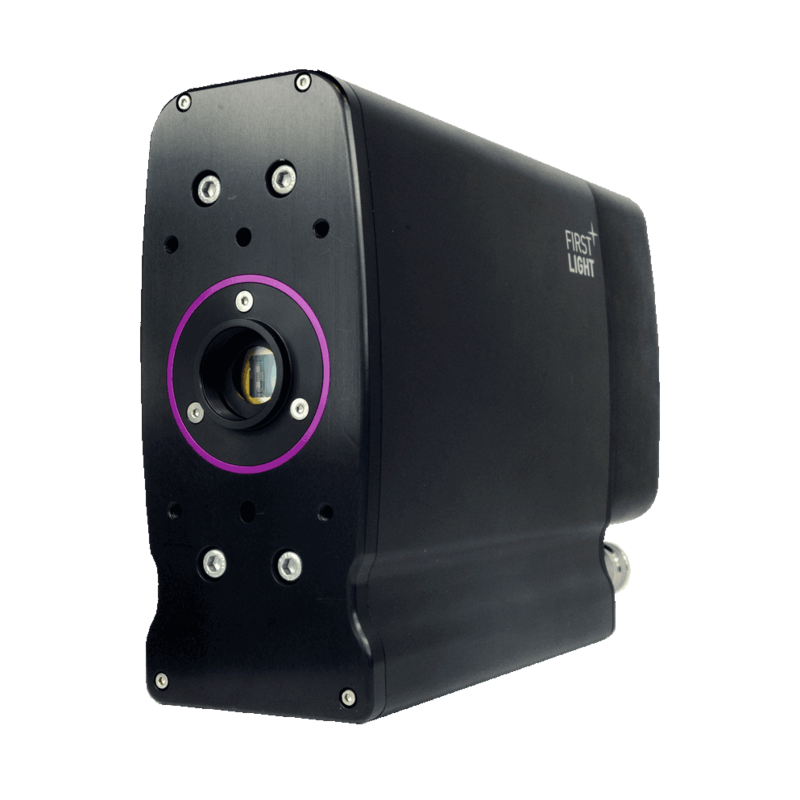 First Light Imaging develops its cutting-edge cameras around state of the art scientific sensors. Based on EMCCD, e-APD MCT or InGaAs, we integrate the most challenging, difficult to harness detectors in complex optics systems. Our innovation and technology are already at the heart of the Adaptive Optics systems for the world’s biggest telescopes, looking at the universe and searching for planets, or in the sharpest laboratories, plugged on microscopes, looking at cells and searching for diseases. From visible to Infrared (SWIR) wavelengths, with the lowest readout noise and the highest frame rates, high QE over a wide spectrum, wavefront sensing with integrated micro-lens arrays, nanoseconds accurate synchronization, electronic shutter… First Light Imaging offers state of the art products for high end applications, to make the invisible visible. First Light Imaging is involved in CEM compliance. Our cameras are exempted from the RoHS limitation. First Light Imaging is involved in sustainable development by recycling all its electronical and electrical wastes. First Light Imaging is also attentive to data protection, all information collected is protected by our private servers. Data is exclusively used in the execution of our business relationship with our customers and suppliers, and for marketing or information purposes. Our scientific cameras are MADE IN FRANCE. They are dual-use products, following the export rules of the Council regulation (EC) No 428/2009 of 5 May 2009 modified by the Regulation (EU) No 388/2012 of the European parliament and of the Council of 19 April 2012. No export licence is required within the EU. First Light Imaging owns a General Export Licence for exports in the following countries: USA, Canada, Japan, Australia, New Zealand, Norway and Switzerland. For every other country, an individual export licence is required. Our cameras are MADE IN FRANCE. They are NOT subject to ITAR restrictions.